My baby brother got married over the weekend, and we’re soooo happy for him and his new wife! (And, thanks to all of you for the well wishes!) However, the wedding and surrounding festivities prompted a few Mommy Moments for me along the way. We thought we’d send Baby up for an overnight visit with Husband’s parents on Friday night. This would give us the opportunity to attend the rehearsal dinner sans melting-down-screaming-I-want-to-go-to-sleep-NOOOOOW child. This would give us the entire evening ‘off’ … we could hang out with family, meet up with friends, stay out after dark, and even sleep through the night. For Husband, none of this was a problem. I, on the other hand, had a few issues. First, in order to make the entire weekend work, I (of course) packed up our entire house … everything from diapers/wipes/food/toys to evening story books and (of course) an 8-page Baby Manual for the 18-hour time period my child would be away from me. Yep. I was super organized. Except that I forgot the pacifier. The ONE item that Baby probably needed most. It was a good thing we picked her up from day care on our way out of town. We just took the one she keeps there. Somehow that one paci managed to last the entire weekend. I’m doing my best not to focus on just how disgusting that thing was by Sunday evening (even with all the sterilizing we did). With that potential disaster averted, we dropped Baby off with her grandparents. It only took me an extra seven thousand goodbyes and Husband threatening to leave me before we were off for our evening out. My in-laws are fantastic and sent me tons of picture updates via iPhone the entire time. I think I had 3 pictures before the end of the first hour! This definitely helped. Also, champagne helped. Champagne in the middle of the afternoon. In a plastic cup. Classy. I know. But, it’s cheaper (and more legal) that the sedatives I might have had to search down on a street corner. I eventually mellowed out, and we enjoyed the rehearsal dinner. After, we were all set up to meet our friends downtown. But. But … my nerves were at it again. Here we were, on our old stomping grounds. Live music. Fun bars. We literally spent years hanging out in this very area. I wasn’t having any of it. Instead of looking around and seeing freedom, I thought … this is loud, dirty, and it smells like urine. This is what I gave up my child for tonight? This? Uh uh. Nope. Not having it. Fortunately, we also have fantastic and very understanding friends. We walked to a quiet little bistro that was closing down and ordered a bottle of wine. I made it through the night, mostly unscathed, but with an entirely new perspective. Am I old? Boring? No fun anymore? I guess it depends on who you ask! 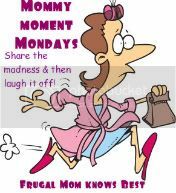 But, as I woke up this Monday morning, I thought … I’m just a mom. I have different priorities these days. Of course it’s great to get out. Great to see friends. But those things that used to be commonplace for me no longer bring the same joy. If I want a mind-numbingly loud environment that reeks of bathroom smells, I don’t need to pay an $8 cover. I just need to step into Baby’s room at 5 a.m. I was the same way when we left the kids for 1st time. It gets easier! ...and the amount you have to pack is INSANE! No one appreciates the packing mother who remembers everything. We just got back from vacation where I forgot to pack my son's toothbrush and their lifevests!!! 2 essentials when you are on vacation...see, it happens to the best of us! Whenever I call family to babysit, I get the "you really don't have to bring anything but pajamas and a toothbrush". My kids are 6 and 4. I wonder if I overpacked? Going out just doesn't appeal to me as much any more. Though I'm to the point where I'm okay leaving my kids for a little while to go out, I just don't have as much fun. I just don't have fun going out anymore. All I can do is think of the kids and what they are doing. We never go out like that, in terms of to bars and what-not... mainly because I never liked them and we didn't go to them before we had Hayden. Nowadays, we do go out without Hayden but it's different. We do dinner with friends or go to a play or go to an event... And for the most part, I would rather just hang out with Hayden (and Randy).